Devilâs Pulpit Golf Course recently celebrated its 25th anniversary. Devilâs Pulpit was designed by Dana Fry and Michael Hurdzan and was built by the inventors of Trivial Pursuit, Scott Abbott and Chris Haney. Upon its opening in 1990, Devilâs Pulpit was awarded Best New Course in Canada by Golf Magazine, and it consistently rated in the top courses in Canada in subsequent years. Its sister course, Devilâs Paintbrush, also designed by Fry and Hurdzan, won this same award when it opened in 1992. Attending this event were Scott Abbott and Sarah Haney, representing the owners; Ken Wright, the original and only superintendent the club has had; Michael Hurdzan and Dana Fry, the course designers; and 400 guests. 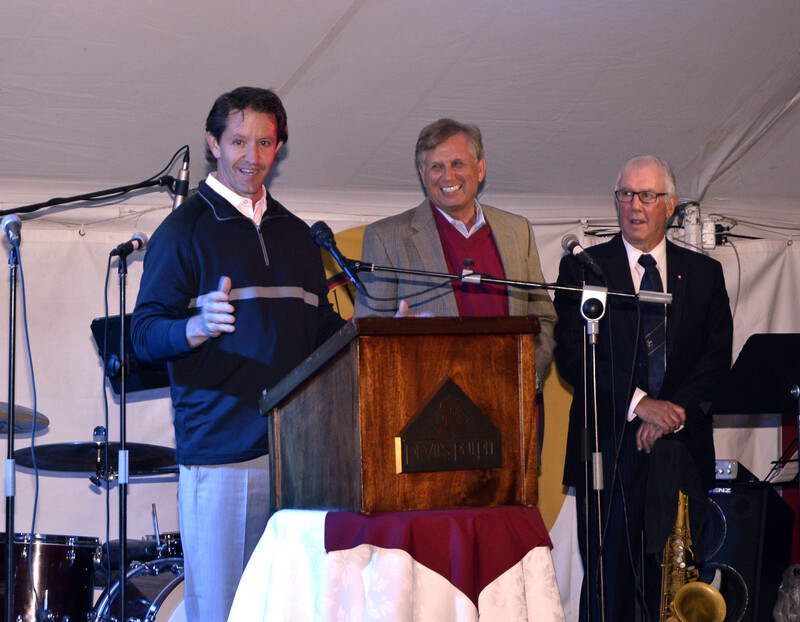 Participants enjoyed a 25th anniversary golf outing and a party followed by speeches from Abbott, Haney, Wright, Hurdzan, and Fry. He continued by stating his respect and admiration for Ken Wright, who he considers to be, âone of the very best golf course superintendents anywhere. The Devil’s Pulpit and the Devil’s Paintbrush are the courses that put Hurdzan and Fry on the map. The Pulpit, built on 315 acres, was a massive earthmoving job. It is grassed with bentgrass greens, tees, and fairways. It is a course that is very visually dramatic with fantastic views of the Niagara Escarpment and downtown Toronto over 30 miles away. In contrast, The Paintbrush, about 4 kilometers away on 166 acres from an earth-moving standpoint, is the opposite type of course. It is a great piece of natural topography with the same awesome views of the Niagara Escarpment and downtown Toronto. It is all fescue except for the greens, which are bentgrass. All the bunkers are stacked sod wall bunkers, and the course has low stone walls running around the entire course and, in some places, right thru golf holes.